This paper assumes the availability of a very fast higher-dimensional rasterizer in future graphics processors. Working in up to five dimensions, i.e., adding time and lens parameters, it is well-known that this can be used to render scenes with both motion blur and depth of field. Our hypothesis is that such a rasterizer can also be used as a flexible tool for other, less conventional, usage areas, similar to how the two-dimensional rasterizer in contemporary graphics processors has been used for widely different purposes other than the original intent. We show six such examples, namely, continuous collision detection, caustics rendering, higher-dimensional sampling, glossy reﬂections and refractions, motion blurred soft shadows, and finally multi-view rendering. 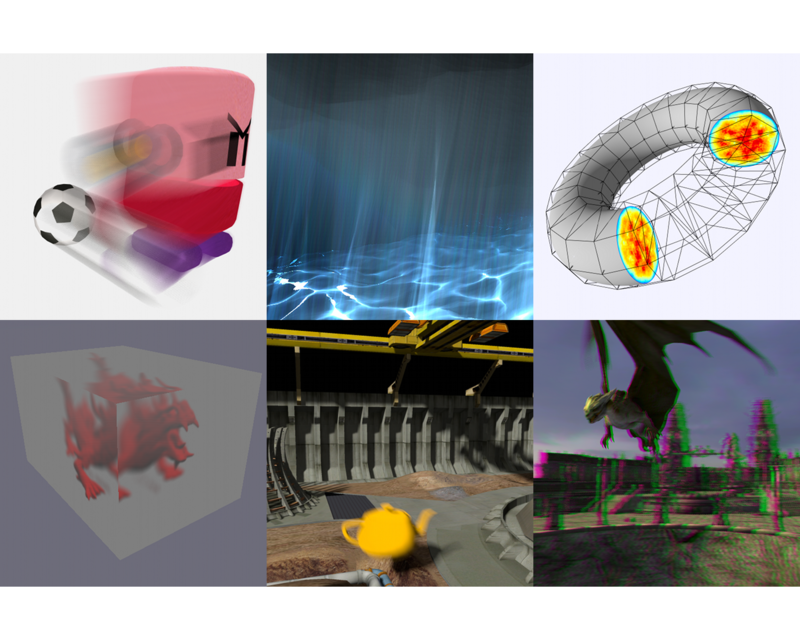 The insights gained from these examples are used to put together a coherent model for what a future graphics pipeline that supports these and other use cases should look like. Our work intends to provide inspiration and motivation for hardware and API design, as well as continued research in higher-dimensional rasterization and its uses.